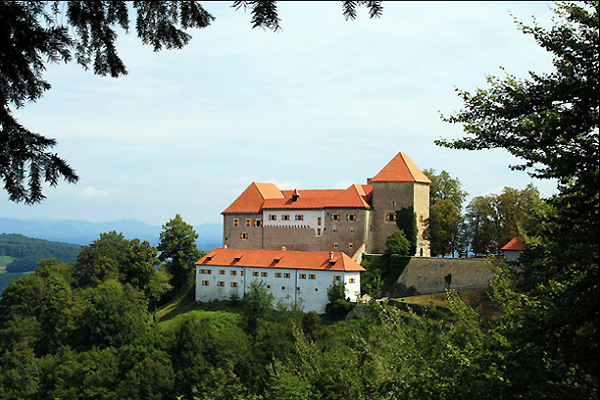 Podsreda Castle is another important example of Romanesque architecture in Slovenia. 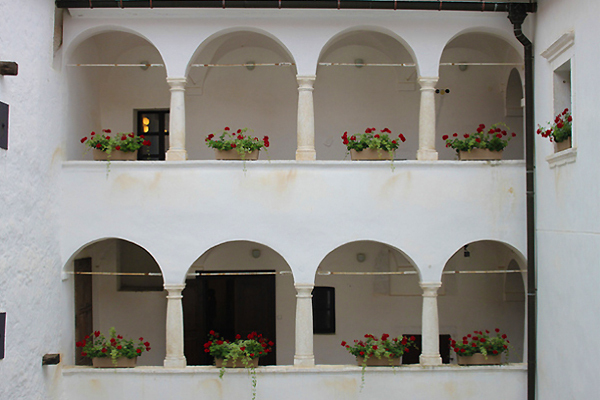 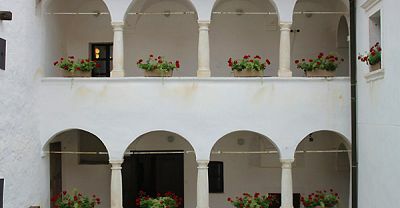 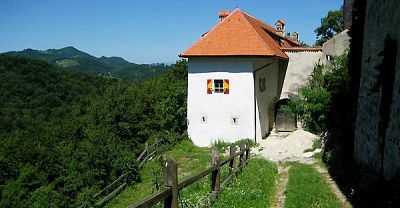 It was built in the first half of the 12th century, high upon a hill overlooking the township of Podsreda (where Tito spent some of his childhood). 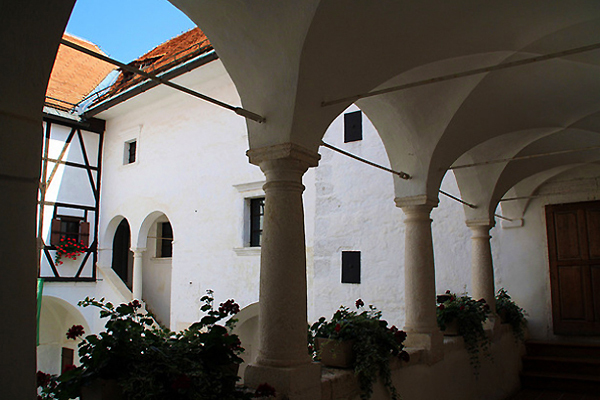 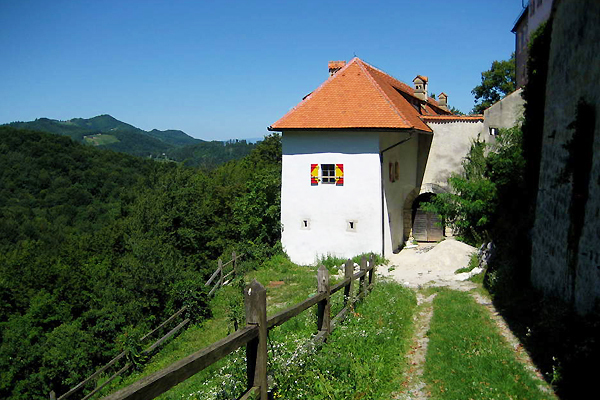 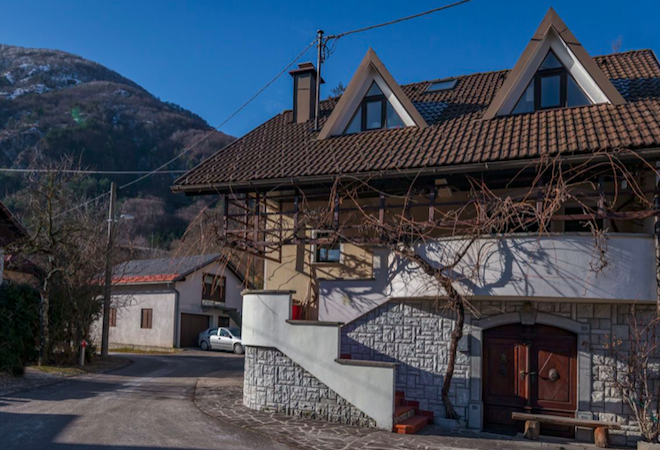 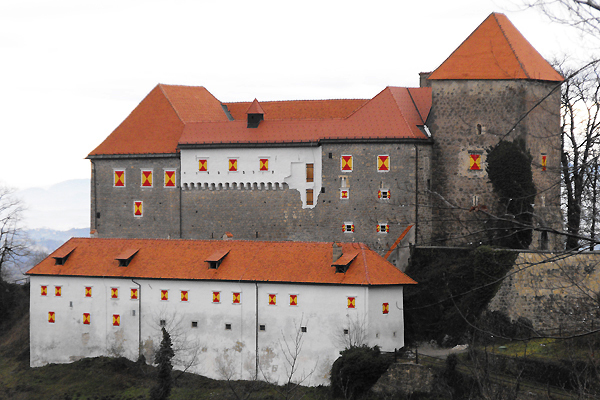 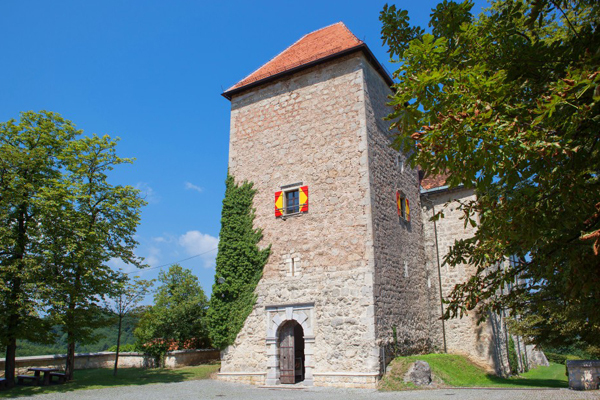 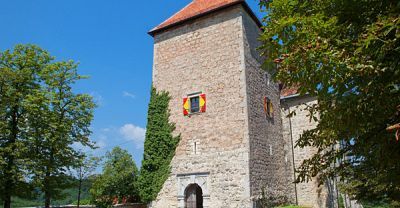 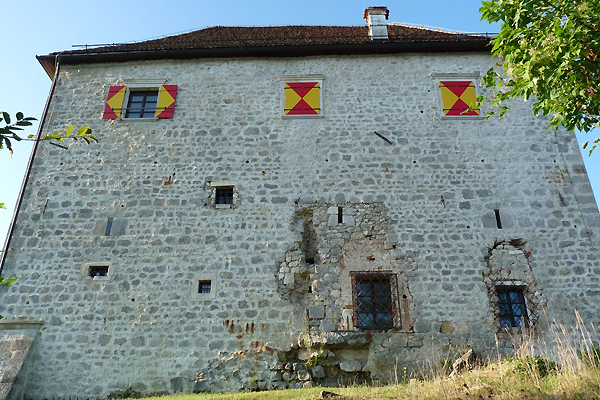 The castle stands as a fine example of solid Slovenian medieval no-nonsense craftsmanship. 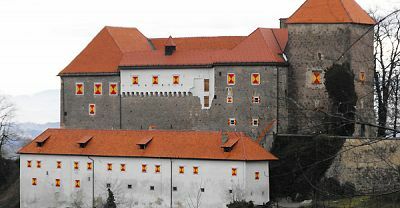 Over the years the castle has seen many owners. 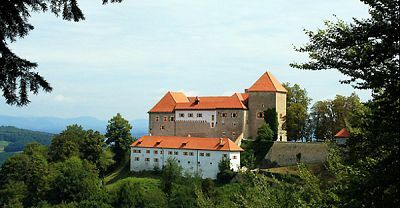 Though neglected after the Second World War, the castle has since undergone extensive renovation work, starting in 1983. 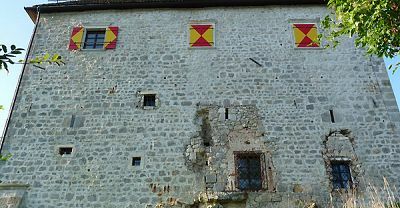 During the renovation numerous forgotten and neglected features where rediscovered, among them some Romanesque double windows, the chiselled frames of windows and doors and the remains of paintings. 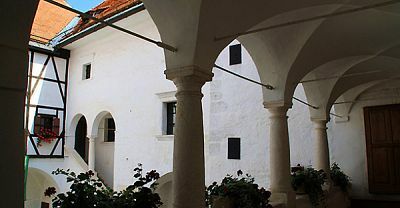 It is open during the summer months and a popular setting for weddings.